Renowned stage actress Anna is done with men -- all of them. Successful banker Phillip is too busy with finance to settle down, so he tells every woman who expresses romantic interest in them that he's married and can never divorce. When these two anti-romantics are introduced, sparks fly; the problem is that Phillip laid down his standard married line, and Anna wasn't bothered at all. How can he extricate himself from his lie without ruining the relationship? And why is Anna planning an elaborate revenge on her reluctant beau? Norman Krasna's Kind Sir is the kind of romantic comedy they just don't make anymore. Well, they made it one other time, as the Cary Grant and Ingrid Bergman film Indiscreet. 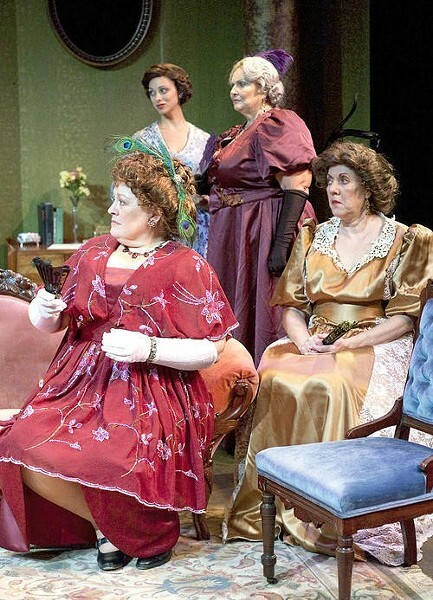 Act Inc presents the stage version of Kind Sir at 8 p.m. Friday and Saturday and 2 p.m. Sunday (June 3 through 5, and June 17 through 19) at the Fontbonne Fine Arts Theatre (6800 Wydown Boulevard; 314-725-9108 or www.actinc.biz). Tickets are $20. Night & Day Highlights Cary Grant Ingrid Bergman Norman Krasna ACT Inc.